Deactivate the old version of Traffic Getting SEO Plugin and Simple CAPTCHA. Delete the old versions of Traffic Getting SEO Plugin and Simple CAPTCHA. Your settings will be saved. Upload and Activate the new version of Traffic Getting SEO Plugin. From the TGSP Plugins page, install and activate SI CAPTCHA. This tutorial will show you how to upgrade the Traffic Getting SEO Plugin for WordPress. 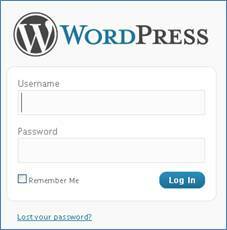 Step 1.Type in your Username and Password for your blog and click [Log In]. Step 3.Find the Traffic Getting SEO Plugin in the list of active pluginand then click [Deactivate]. Step 4.Check the box to the left of Traffic Getting SEO Plugin, then select[Delete] from the drop-down box and click [Apply]. Step 5.Click[Yes, Delete these files]. 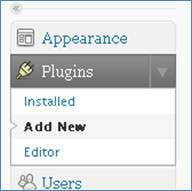 Step 6.On the left side, click on [Plugins], then [Add New]. Step 7.Click on [Browse], and then find the most recent version of Free Traffic Getting SEO Plugin that you downloaded. Step 8.Click on [Install Now]. Step 9.Click on [Activate Plugin]. Step 10.You’re done! All of your optimizations from the previous version should still be saved. You may notice a few new tweaks to apply, these are our updated optimizations to the newest version of the plugin. I was a member of Jeff’s training program a couple of years ago and got the Pro version. But I haven’t been able to use it since the WP3.1 upgrade. I get a message telling me “Traffic Getting Requires WordPress 2.7 or greater!” but I’m in v3.4, the latest version of WP. I can show receipts for my payments to the Underground Training Lab Coaching Club. How can I get an upgraded Pro Version? Surely as expensive as the Coaching Club was, we can get upgrades. The software won’t install without agreeing to the terms; there isn’t an alternative link to send you. Please try using a different browser and/or computer to see if that helps.